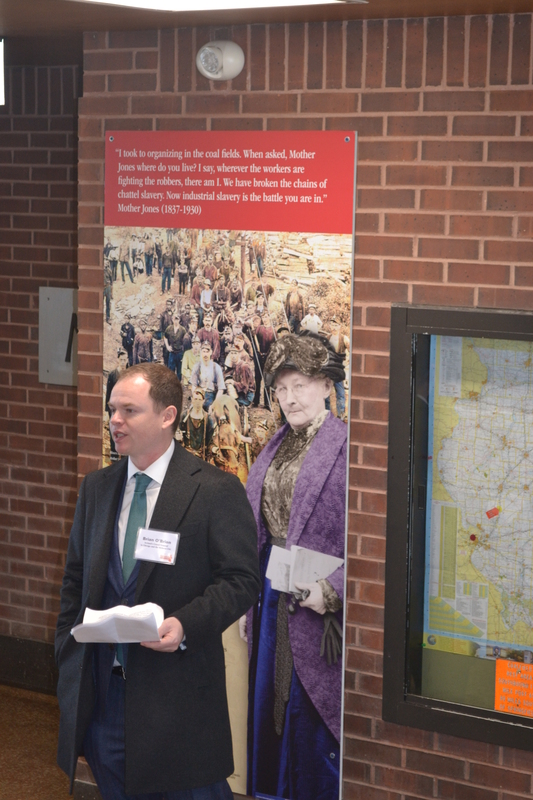 A commemorative road marker in honour of Cork-born Mother Jones was unveiled near Mount Olive, Illinois on Monday (11 December) in the presence of the Honorary Irish Consul in Chicago, Mr. Brian O’Brien. The marker itself will be seen by over a million people a year who come to take a break just off the world-famous Route 66. After the ceremony, Mr O’Brien visited the indoor exhibition area at the location. 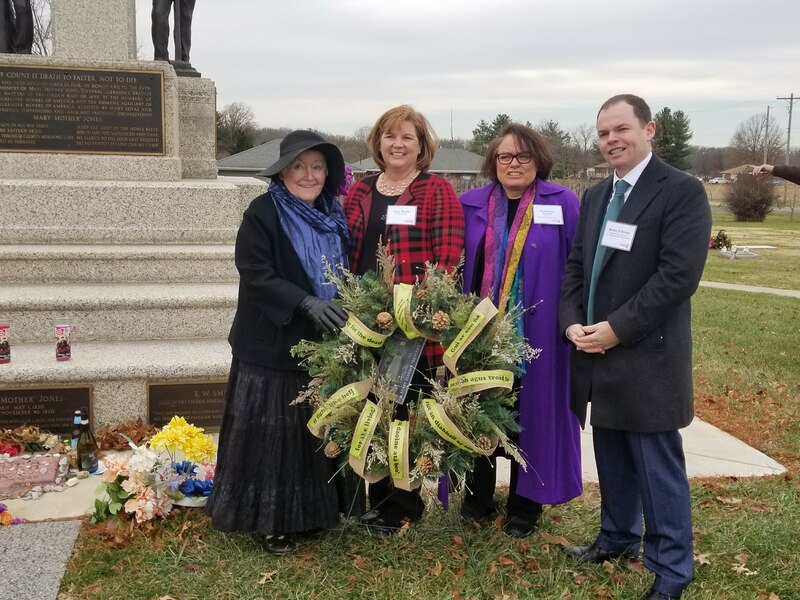 They the group travelled to Mount Olive where Mr. O’Brien placed a wreath at the grave of Mother Jones in the Miners Cemetery in Mount Olive. 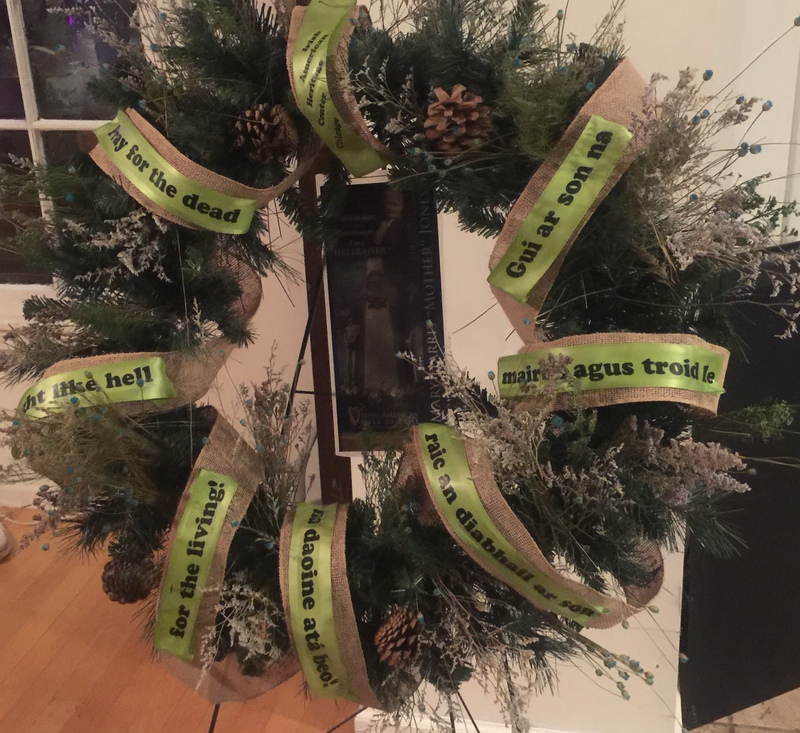 The wreath contained the words of her motto “Pray for the dead and fight like hell for the living” in both Irish and English. There then followed a toast to Mother Jones at the grave which was celebrated using Red-Breast Whiskey. Congratulations to everyone involved in this amazing project. 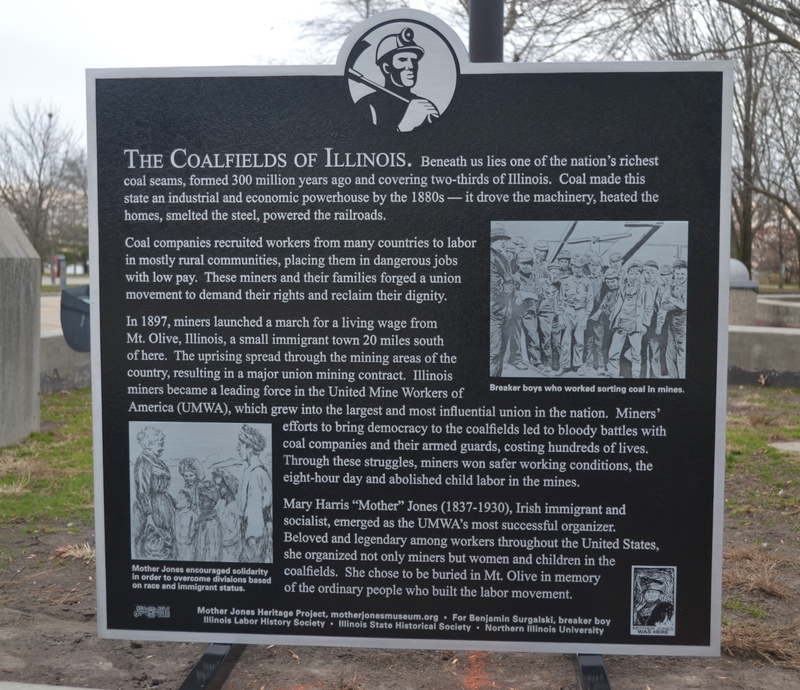 Our thanks to Prof. Rosemary Feurer of the Mother Jones Musuem for forwarding photos and other material.